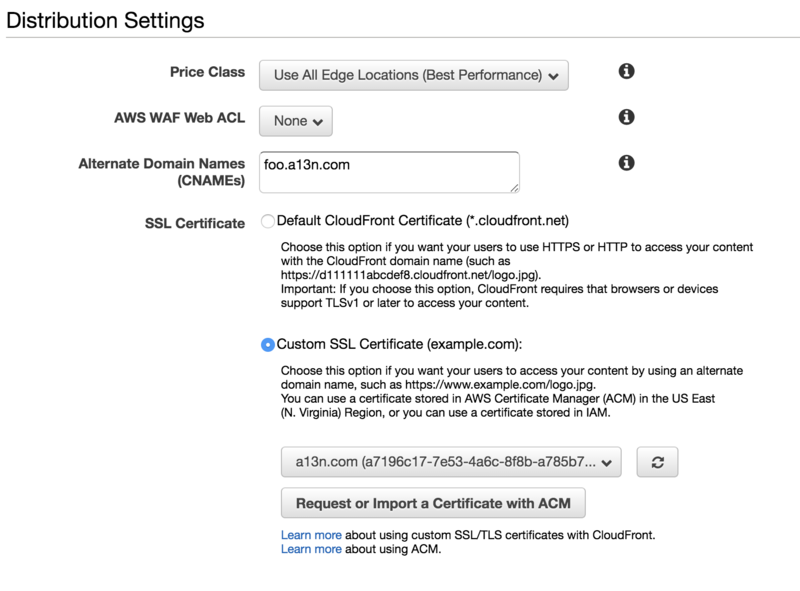 Instructions on how to set up SSL for your custom domain using CloudFront. Alternate Domain Names (CNAMEs) should contain your custom domain (eg. feedback.example.com). SSL Certificate should be "Custom SSL Certificate". In the dropdown, choose the SSL certificate for your custom domain (example.com). If you haven't already, you'll need to create the certificate in AWS Certificate Manager. Origin Domain Name should be "cname.canny.io". 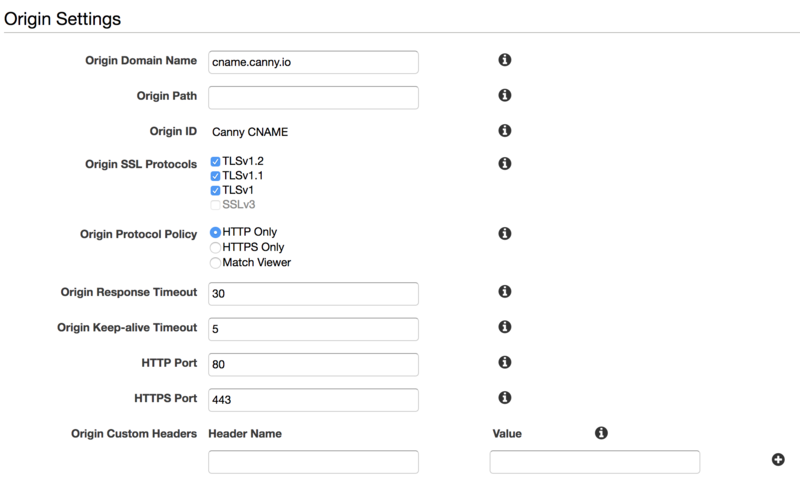 Origin Protocol Policy should be "HTTP Only". Viewer Protocol Policy should be "Redirect HTTP to HTTPS". Allowed HTTP Methods should be "GET, HEAD, OPTIONS, PUT, POST, PATCH, DELETE". Cache Based on Selected Request Headers should be "All". 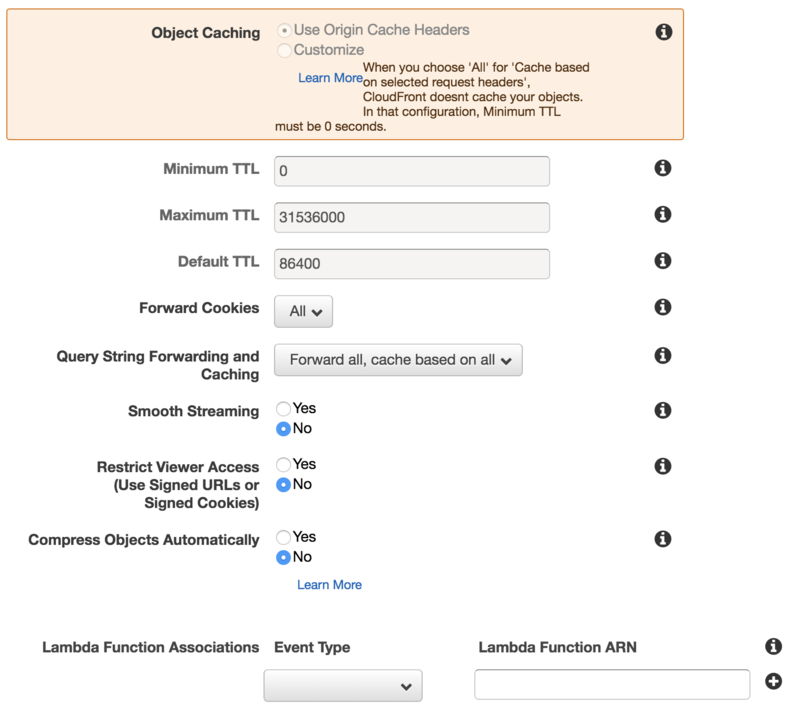 Object Caching should be "Use Origin Cache Headers"
Forward Cookies should be "All". 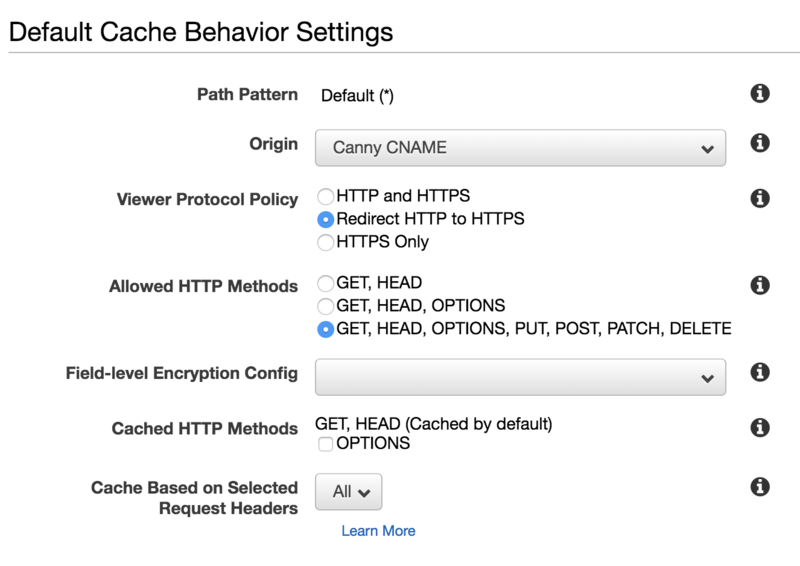 Query String Forwarding and Cache should be "Forward all, cache based on all". If you have any questions or issues, reach out on live chat or support@canny.io and we'll be happy to assist you!